All-new deluxe edition of an out-of-print gem, containing in-universe short story "The Ash-Born Boy" and a never-before-seen introduction from V.E. Schwab. The Near Witch is only an old story told to frighten children. If the wind calls at night, you must not listen. The wind is lonely, and always looking for company. There are no strangers in the town of Near. These are the truths that Lexi has heard all her life. But when an actual stranger, a boy who seems to fade like smoke, appears outside her home on the moor at night, she knows that at least one of these sayings is no longer true. The next night, the children of Near start disappearing from their beds, and the mysterious boy falls under suspicion. As the hunt for the children intensifies, so does Lexi's need to know about the witch that just might be more than a bedtime story, about the wind that seems to speak through the walls at night, and about the history of this nameless boy. 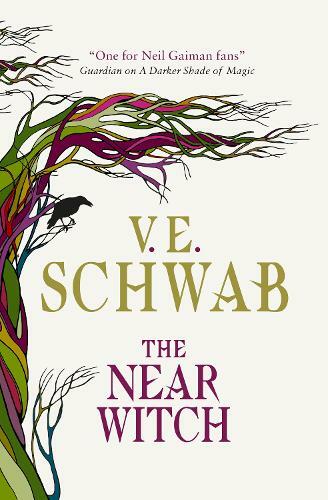 Part fairy tale, part love story, Victoria Schwab's debut novel is entirely original yet achingly familiar: a song you heard long ago, a whisper carried by the wind, and a dream you won't soon forget. I received a copy of this book from the publisher in exchange for a review.